Over the past 10 plus years we have managed unparalleled growth with MasterWorks Distribution Software. The complete, fully integrated system has given us the tools needed to manage our inventory, sales, receivables, and our sales and marketing databases. The system paid for itself in no time! Need I say more? Mike Squizzato, President, Hettich Canada L.P.
A leading, high-end cabinetry hardware supplier, Hettich Canada operates in a highly competitive environment. With a staff of 50 people, Hettich Canada distributes hinges, drawer systems and connecting fittings to be used in the assembly of cabinets, vanities, furniture and specialty millwork products – all products vying for position with rival products. Both cost-containment and customer satisfaction are critical to Hettich in order to maintain a competitive edge. Hettich’s 25 field sales representatives did not have accurate information when they needed it most: when they were in front of clients, trying to advise them about product availability and pricing. Providing the wrong information or providing information too late damaged relationships with customers, prospects, and head office. As a result, internal staff felt frustrated and discouraged. Meanwhile, management struggled with pricing issues. Without accurate information about product turnover and margins, they were unable to forecast demand, assess profitability on a product level, or determine effective pricing strategies. By taking the time to listen and understand all of the company’s issues and requirements, Beckard Associates was able to quickly identify solutions. Taking advantage of Masterworks’ built-in customization features, Beckard adapted the integrated distribution and financial services software to meet all of Hettich’s needs. Access to real-time information for sales people – so that they could accurately quote prices and on-hand stock, perform product demos, reduce paperwork, and communicate efficiently with Head Office staff. Introduction of Electronic Data Integration (EDI) to improve customer and supplier relationships and significantly decrease costs associated with placing orders over the phone. Real-time information about customer buying habits, customer groups, and costs for analysis of profit margins, credit limits, and pricing structures. With real-time information at their fingertips, sales representatives no longer needed to worry about damaging client relationships by giving out inaccurate information. Morale improved – as did the relationship with Head Office. Management was able to create proactive price strategies, constructing customized pricing lists based on analysis of accurate up-to-date information. Communication with the Corporate Office in Germany also improved, thanks to the daily reports sent by Hettich Canada through EDI. 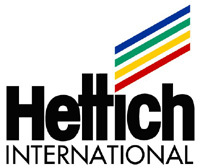 More than two decades later, Hettich Canada still relies on Beckard Associates and MasterWorks to help them operate at top efficiency.